World-class sports amenities and elite attractions combined with a convenient location make Lehigh Valley the prime spot for sports events. 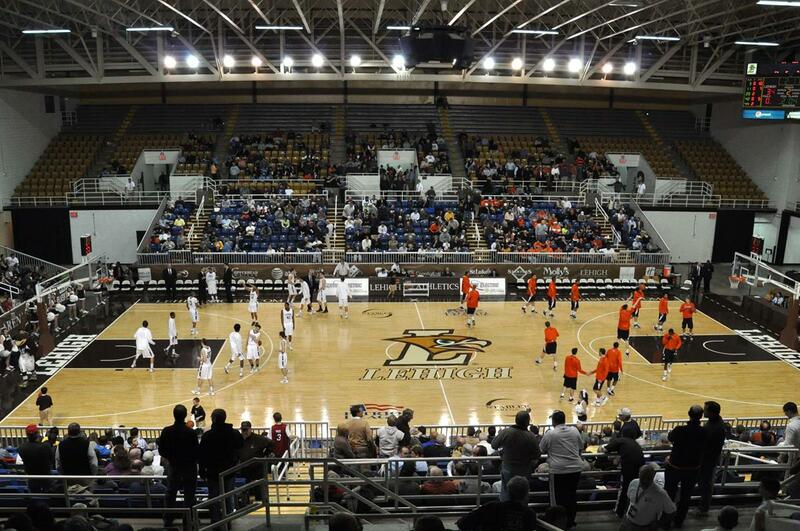 Stabler Arena is a popular venue in Lehigh County that can host a variety of events including wrestling. As a sports event organizer, it’s difficult to pinpoint the perfect place to host your tournament. There are several elements that factor into the decision, making it tough to determine a location that’s right for you. It’s a stressful process that requires a great deal of time and energy. But if you host your sports event in Lehigh Valley, all those pain points will melt away. Lehigh Valley brings together the power of three cities: Allentown, Bethlehem and Easton. With the amenities of three destinations rolled into one, sports organizers have everything they need right at their fingertips. Coaches, athletes and their fans will enjoy the competition at elite sports venues, as well as all the wonderful attractions off the field. From quaint towns to rolling countrysides to metropolitan landscapes, there’s something for everyone in Lehigh Valley. When you add in all the eases Lehigh Valley offers—convenient location, comfortable lodging, family friendly dining—it’s clear why this is one of the best sports destinations in the country. The Lehigh Valley team is here to assist any requests or needs for a sports event, helping organizers deliver a successful tournament for all attendees. The Lehigh County Sports Fields are a first-class sports complex. 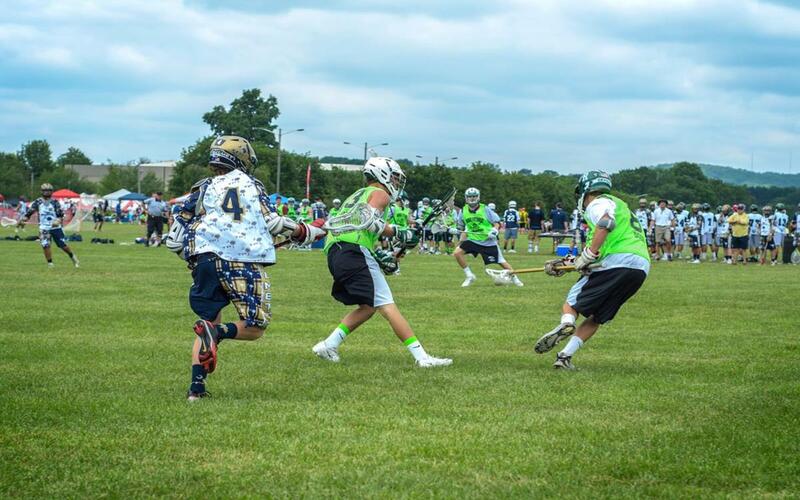 It hosts several local and national tournaments, drawing teams from the Mid-Atlantic and Eastern states. The venue features a total of ten playing areas, three of which are equipped with lights. Guests will also find a walking/running track, a picnic pavilion, and plenty of parking spaces. Located in downtown Allentown, PA, the PPL Center is a state-of-the-art arena. 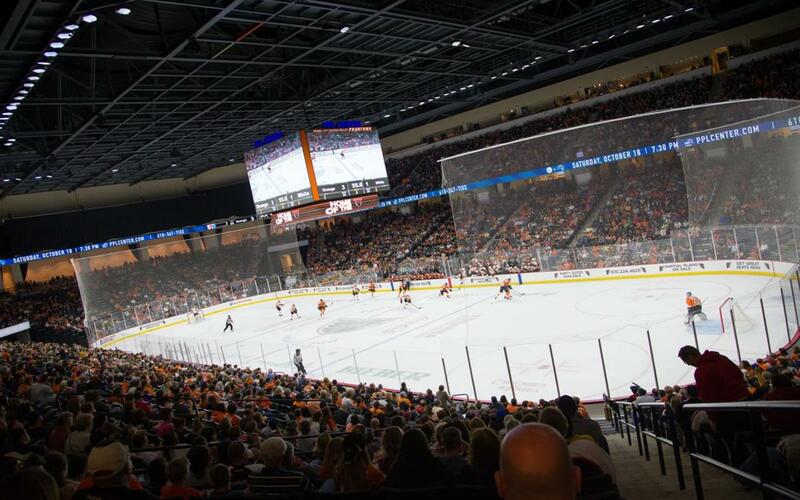 It’s home to the Phantoms, an AHL affiliate of the NHL Philadelphia Flyers. The sports venue also plays host to several regional events, from hockey leagues and figure skating competitions. The arena features on-site food, parking and seating for 8,500 for hockey games. 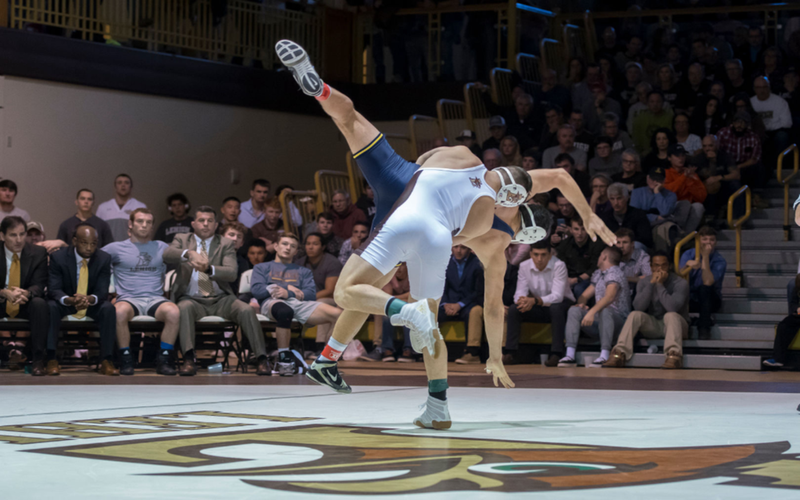 Situated on the Lehigh University campus, the Stabler Arena is home to the men’s and momen’s basketball programs, as well as the wrestling team on occasion. The facility features 5,400 seats for sports event and expands to 19,000 square feet of space with the seats retracted, allowing to accommodate for several other events. Goodman Stadium is home to the Lehigh University Football team as well as the United Soccer League’s (USL) Bethlehem Steel FC. This venue has a scenic view of South Mountain, and has been deemed as having the “Best Game Day Atmosphere in the Patriot League.” It has seating for 16,000 people, a natural grass surface and accommodations for both home and away teams. The Goodman Track & Field Complex is the main residence for the university’s men’s and women’s outdoor track and field program. It has nine lanes surfaced with ProTurf, a high jump area, long jump pit, pole vault mat and throwing area. Planning a major cycling event? This is the place for you. 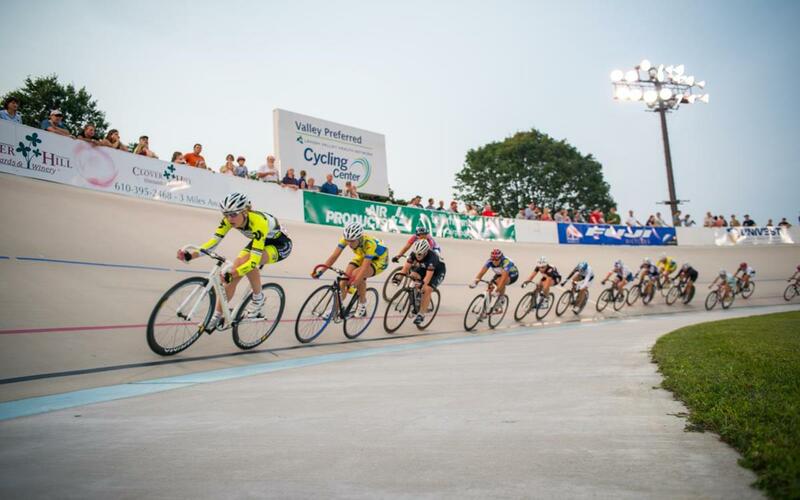 This renowned sports venue, commonly referred to as “T-Town,” is the Bicycle Racing Capital of the World. The Valley Preferred Cycling Center is at the heart of the 103-acre Bob Rodale Cycling and Fitness Park. The Velodrome is a 333.3m outdoor track with a concrete surface, 12.5-degree banked straightaways and 30-degree banked turns. It has hosted several UCI World Cups and National Championships, and it’s the home of the World Series of Bicycling. Known as a popular destination for concerts and festivals, the SteelStacks at the ArtQuest Center is also a place for sports fans to gather and cheer on their favorite teams. It plays host to the Lehigh Valley SoccerFest & Viewing Party, which takes place every four years during the World Cup. All matches are aired on the Levitt Pavilion and PBS39 outdoor screens. During the festival, the Bethlehem Steel FC team presents soccer clinics for attendees. Located in the Northampton Community Park, the Forks Township Community Center is a multi-purpose facility serving the community year-round. The venue, built back in 1995, provides guests a total of 41,212 square feet of recreational space. It features three gyms, which are home to the Forks Township Youth Sports Organization’s basketball teams during the winter. The main gym can accommodate 1,568 people, and the other two gyms each have a total occupancy of 1,541 people. Lehigh Valley provides visitors with a plethora of activities appropriate for all age groups and interests. Here’s a fun fact you may not have known. Crayola is made in Lehigh Valley. The Crayola Experience, located in Easton, immerses guests in a colorful world where they can draw, paint and create with the latest products. There are four floors to explore, with hands-on and interactive attractions that will keep families and their kids entertained all day long. Another fun family attraction is Dorney Park and Wildwater Kingdom. This popular spot features two parks spread across 200 acres with more than 100 rides, including seven roller coasters and the largest collection of kids’ rides in Planet Snoopy. Another unique Lehigh Valley attraction is the SteelStacks, the largest revitalized brownfield in the country set up among the ruins of the former Bethlehem Steel campus. On the grounds guests will find ArtsQuest Center, where numerous events, concerts, comedy shows and festivals are held, including Musikfest and Oktoberfest. Take some time to walk along the Delaware & Lehigh National Heritage Corridor, a multi-use trail running 165 miles through Lehigh Valley. Along the trail you’ll discover the National Canal Museum, the only museum in the country dedicated to the story of America’s historic towpath canals. Learn even more about the country’s past at the National Museum of Industrial History, which showcases America’s industrial roots and today’s innovations through the exploration of industry in the country’s growth throughout the years. East Coast Volleyball has been fortunate and thankful to be working with an organization dedicated to supporting, growing and promoting our Annual East Coast Volleyball Events in the Lehigh Valley. Discover Lehigh Valley Sports is dedicated to Sports Travel Tourism Industry, and they’ve been with us from year one. I can’t say enough regarding DLVS’s commitment and help towards our sports events. It is truly a pleasure working with DLVS every year, as we look forward to a continued strong and prosperous relationship. Lehigh Valley United is grateful for the contribution Discover Lehigh Valley has provided over the years to our business. We cannot thank them enough for their support, professionalism, kindness, and overall passion for growing the sport of soccer in our community. It is a pleasure working with everyone at Discover Lehigh Valley and LVU looks forward to continue our great partnership over the coming years. By Car: Lehigh Valley is a 90-minute drive west of Manhattan and a 60-minute drive north of Philadelphia. A third of the U.S. and one-half of Canadian consumers are within a day’s drive. By Air: There are three major airports with a 90-minute drive of Lehigh Valley. Lehigh Valley International Airport (ABE) is the fourth largest airport in Pennsylvania and offers daily nonstop flights to eleven destinations. Newark Liberty Airport (EWR) and Philadelphia International Airport (PHL) both offer daily nonstop flights to destinations all over the country and internationally.